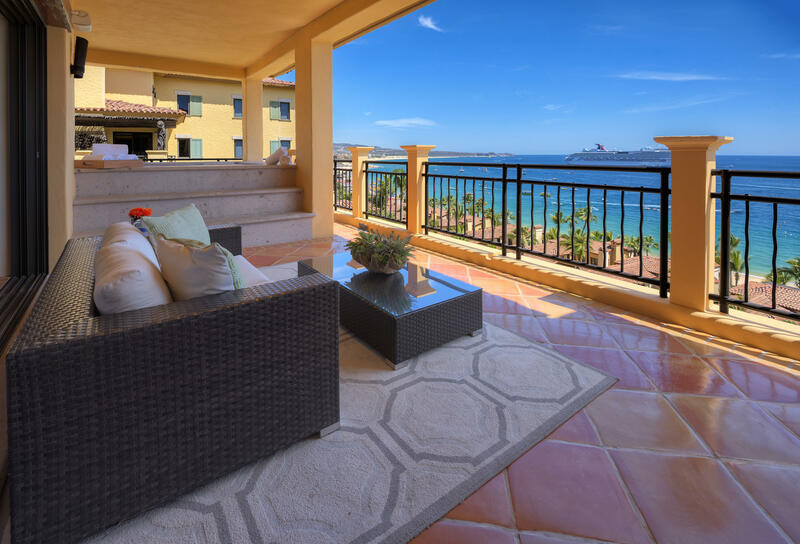 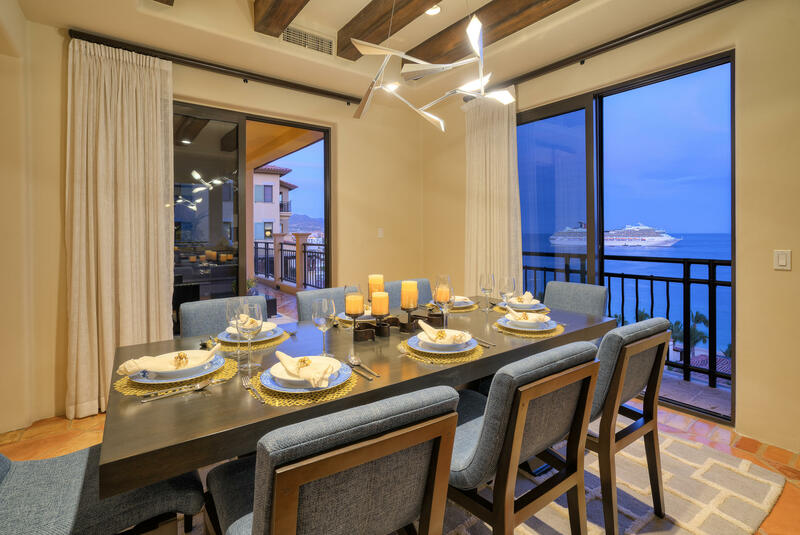 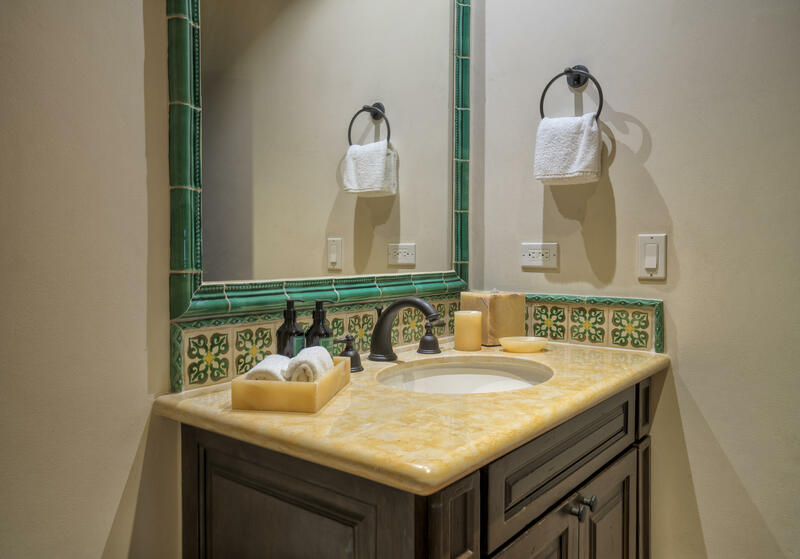 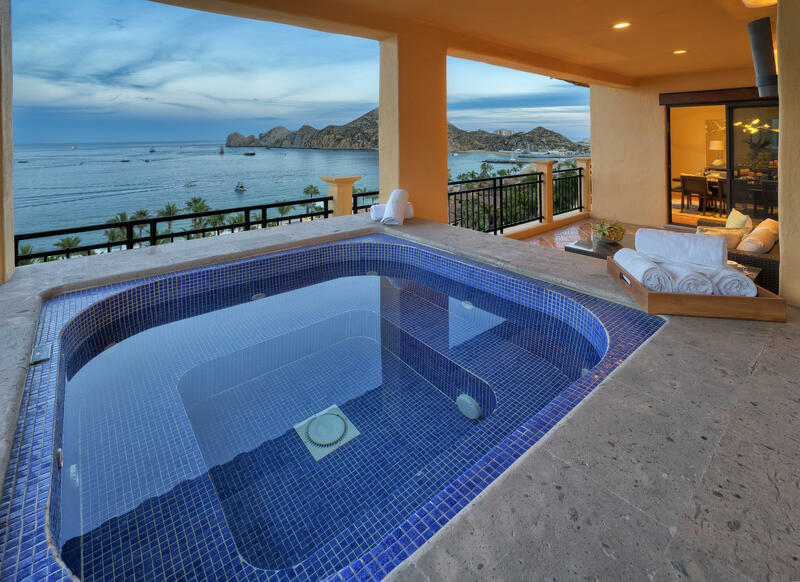 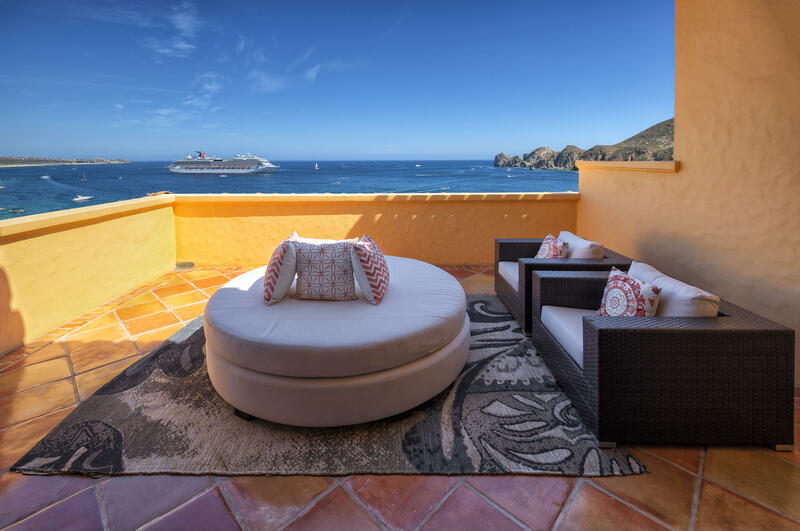 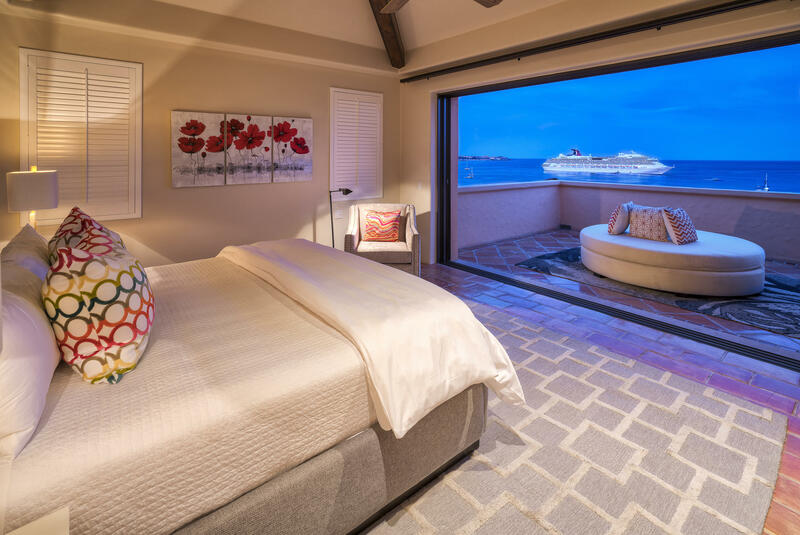 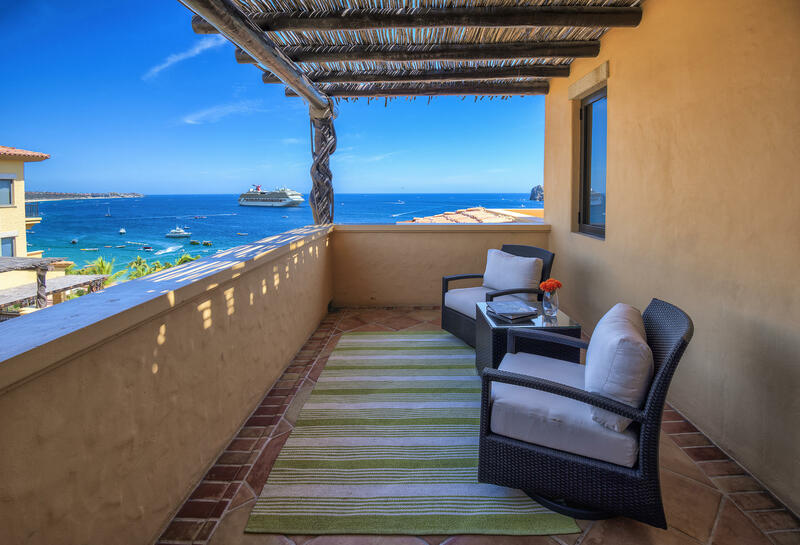 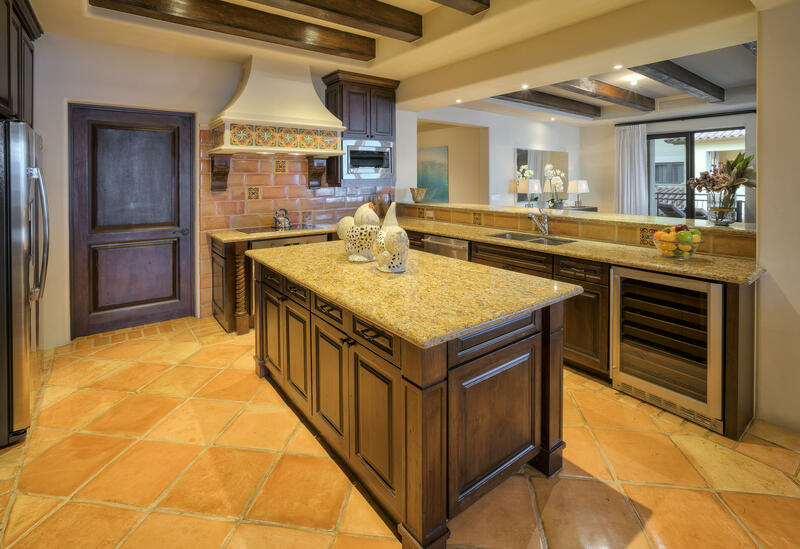 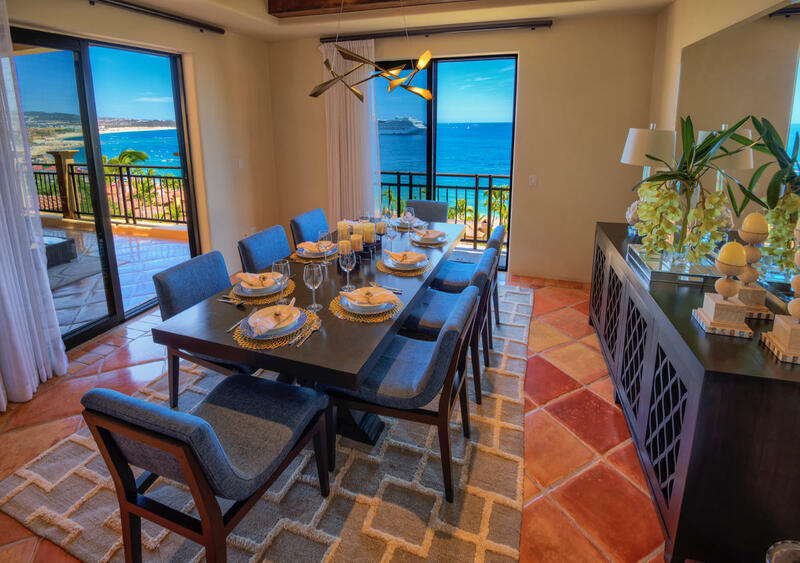 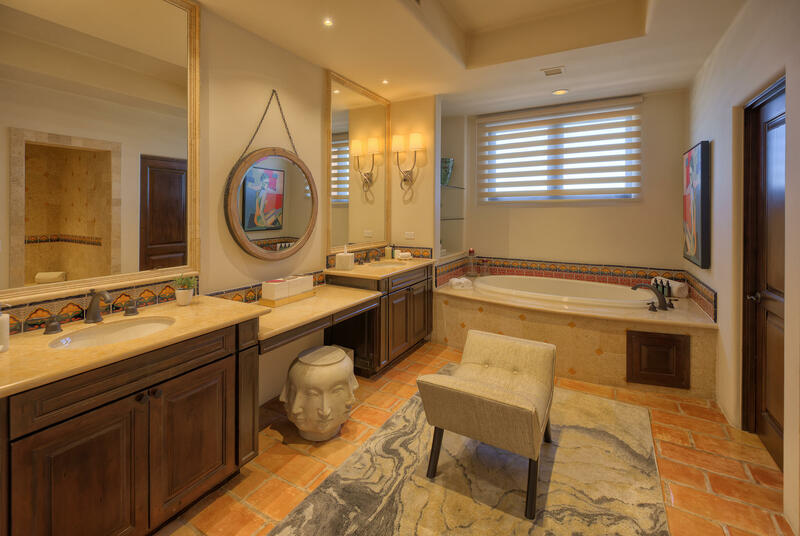 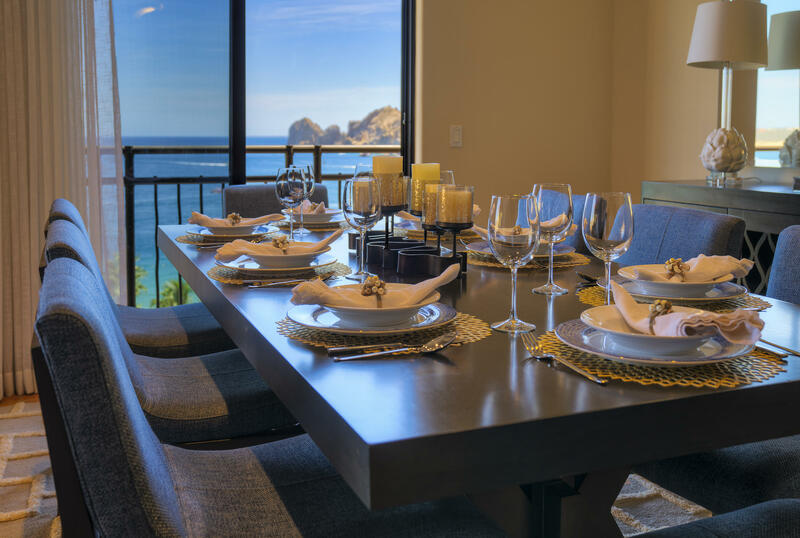 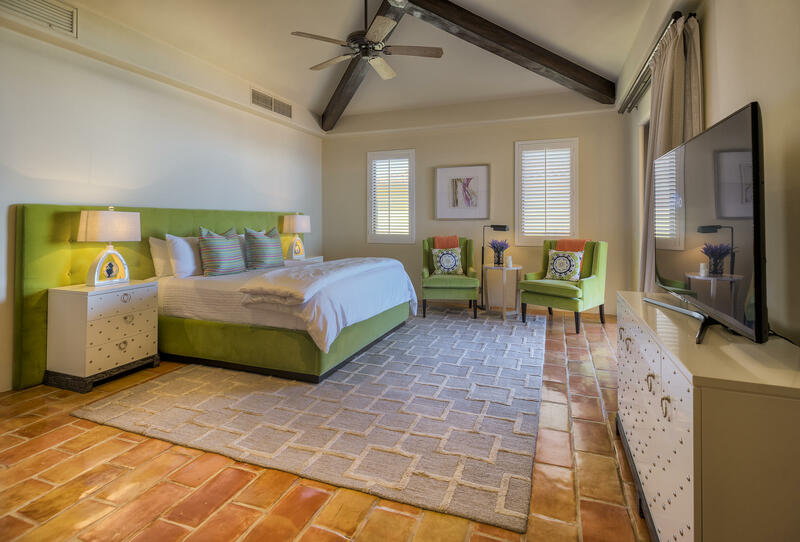 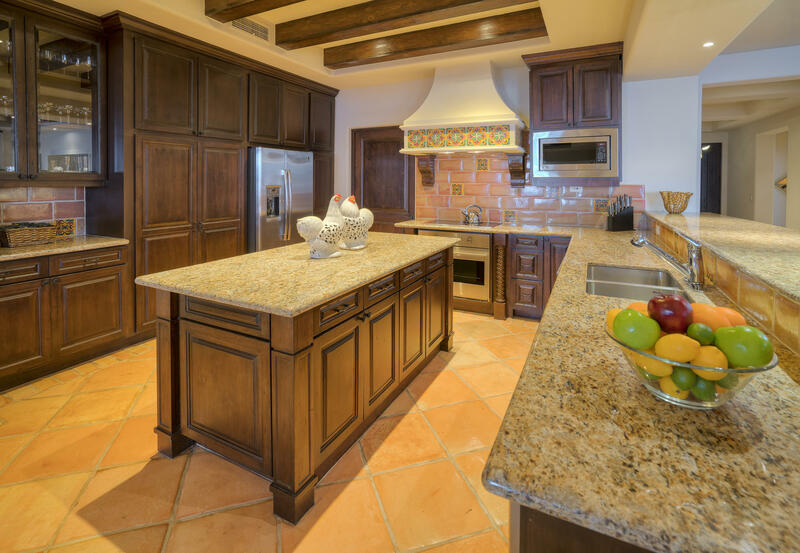 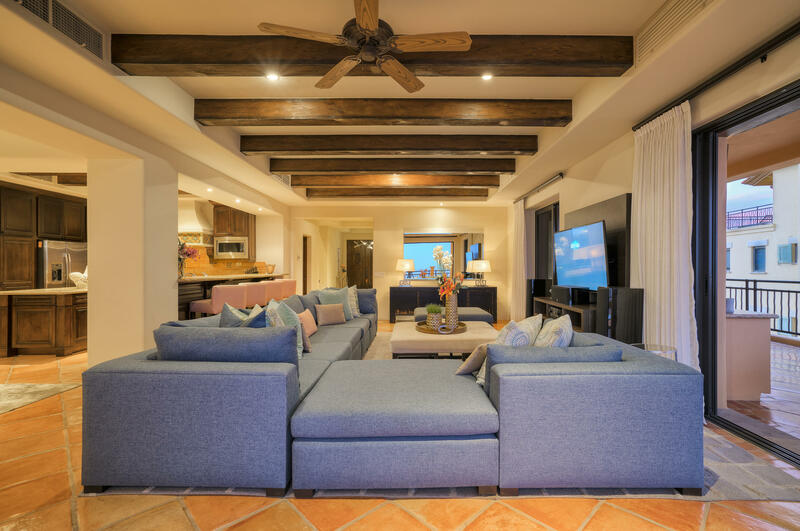 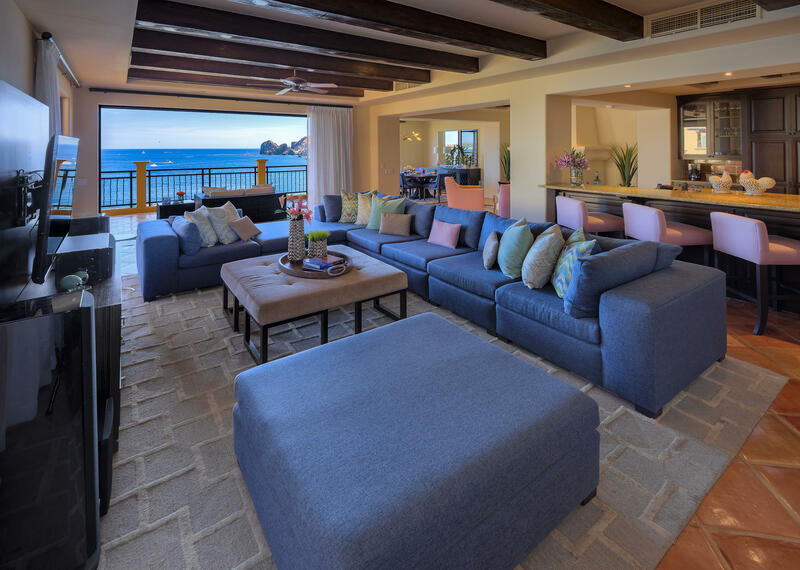 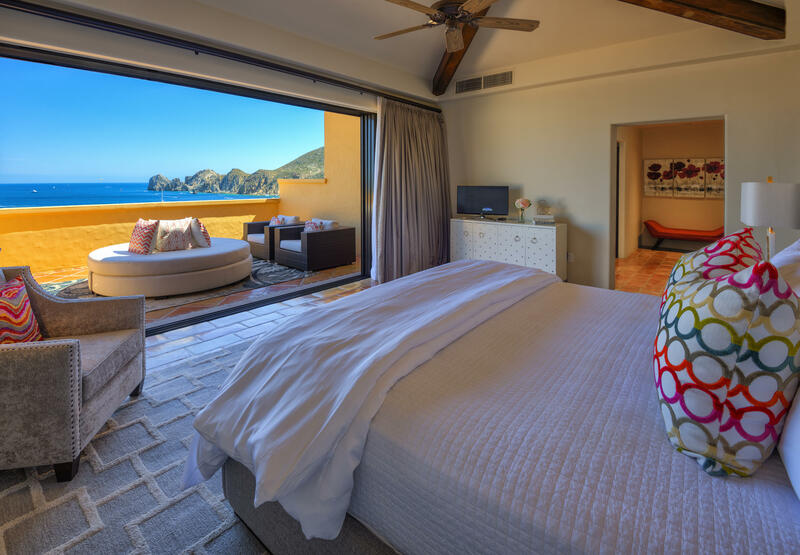 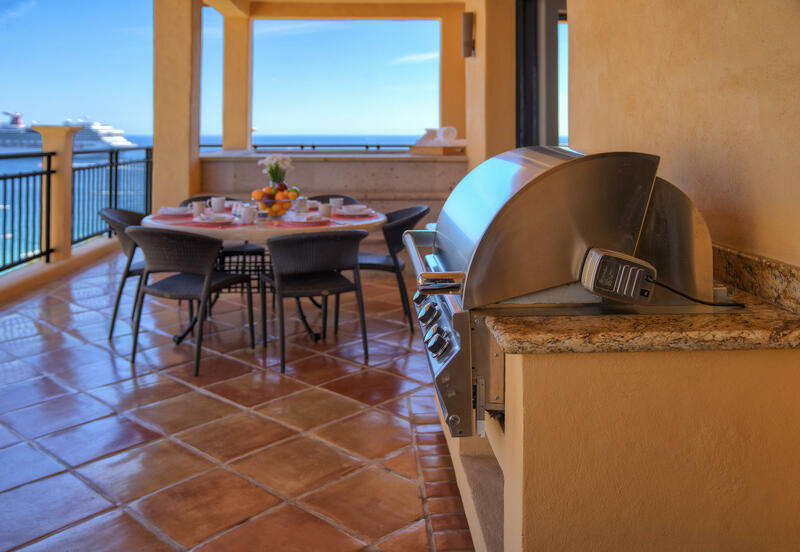 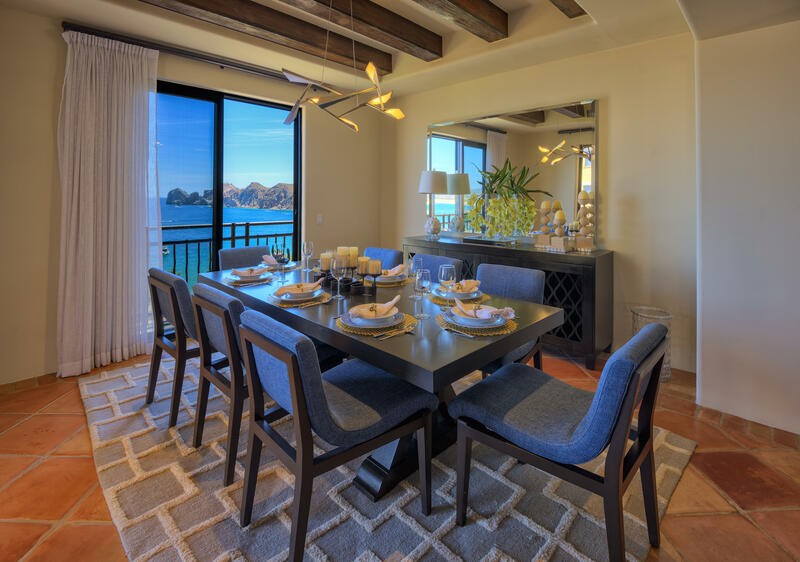 Sumptuous décor and amazing views are the hallmarks of this large penthouse overlooking famous Lands End on the bay of Cabo San Lucas. 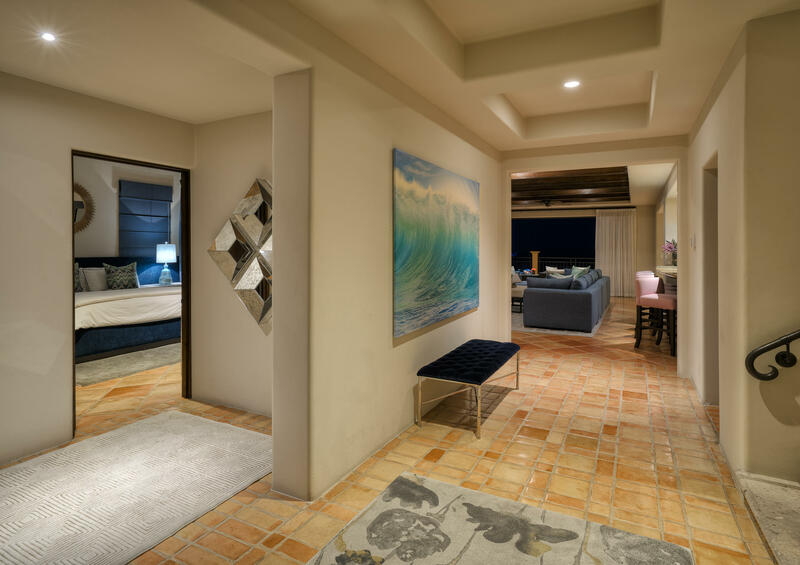 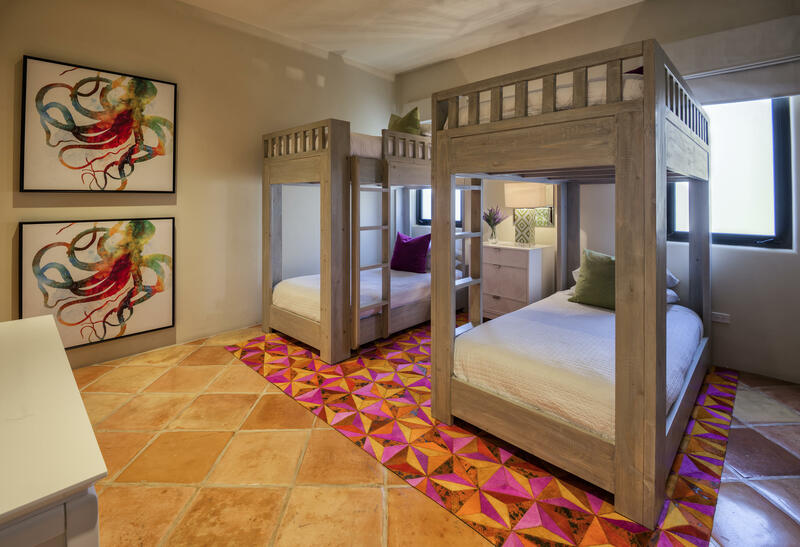 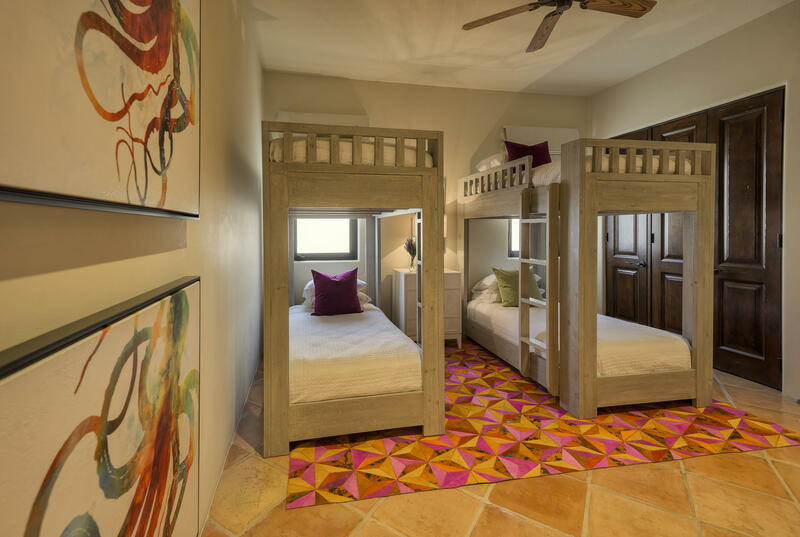 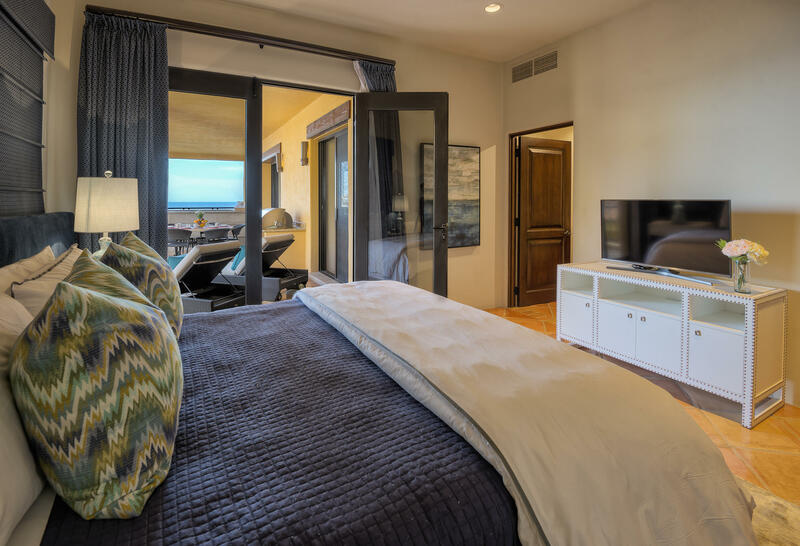 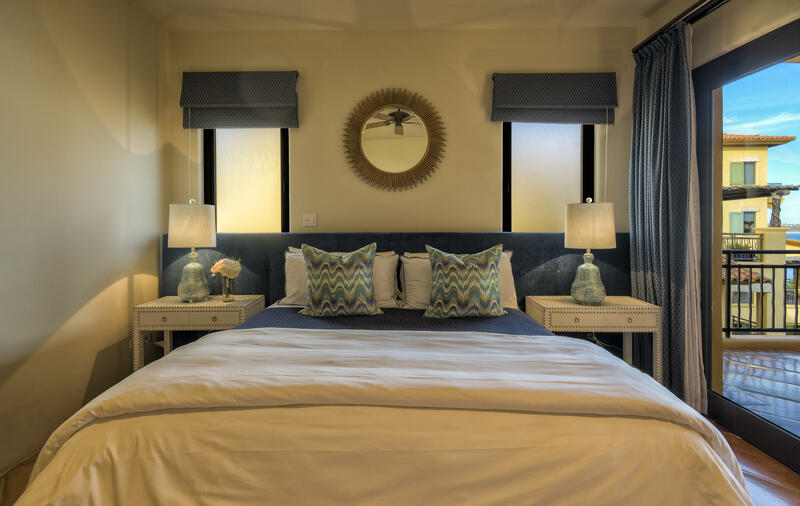 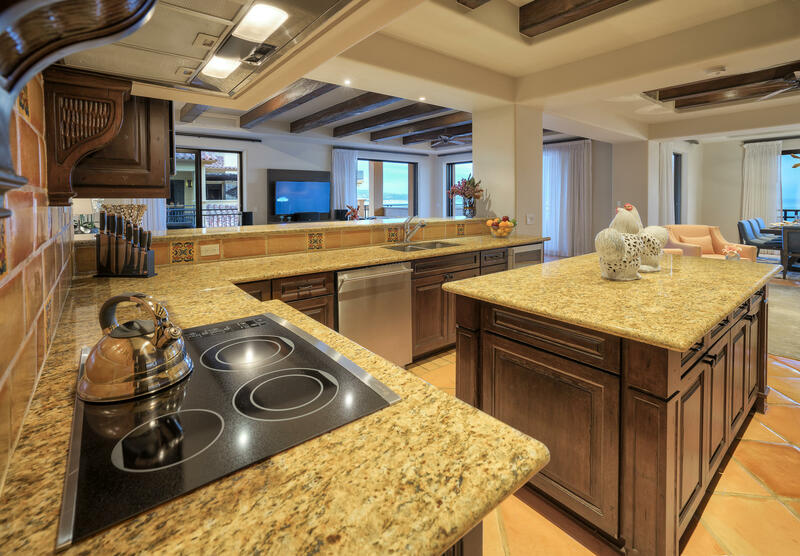 Enjoy white sand views and the sounds of surf from all four bedrooms. 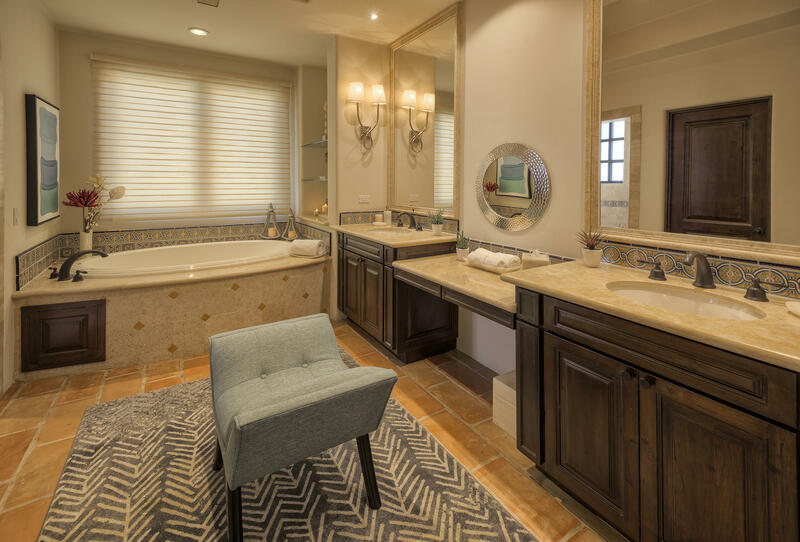 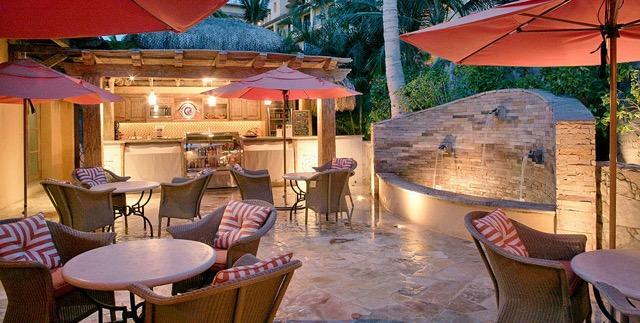 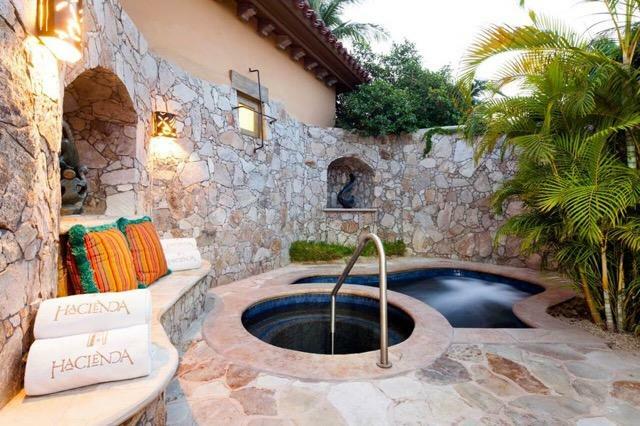 Cozy up to the fireplace after a long soak in the terrace spa. 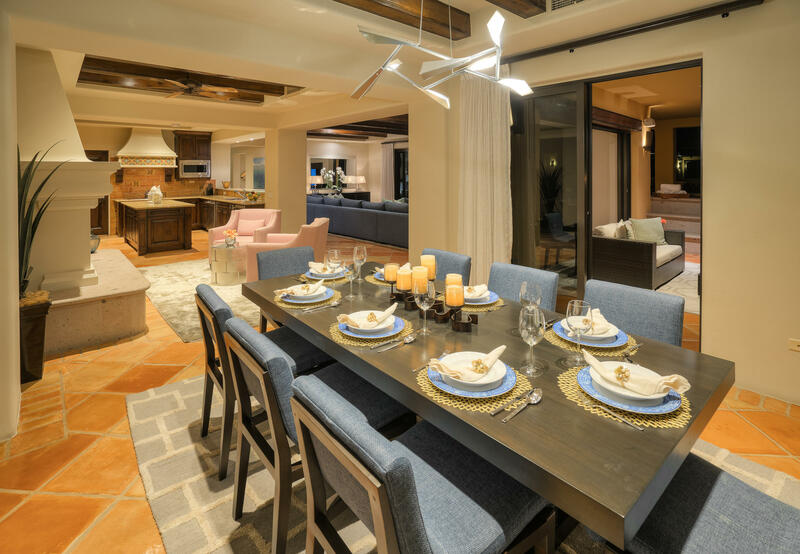 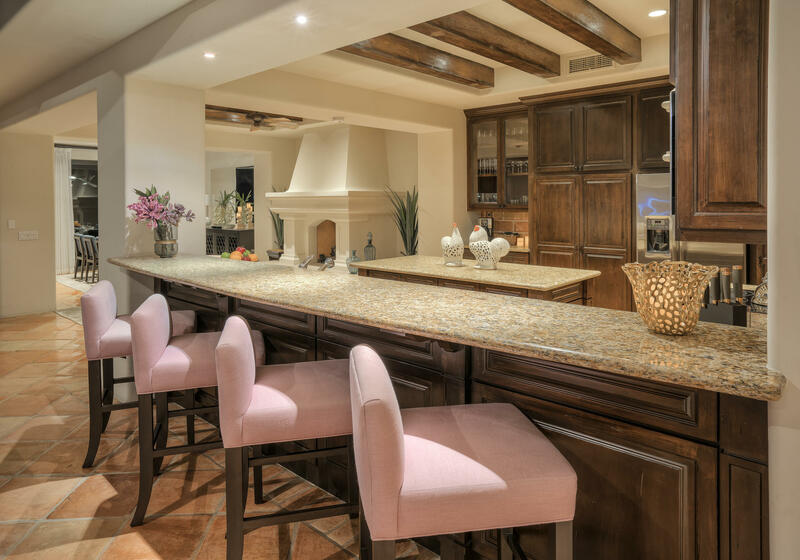 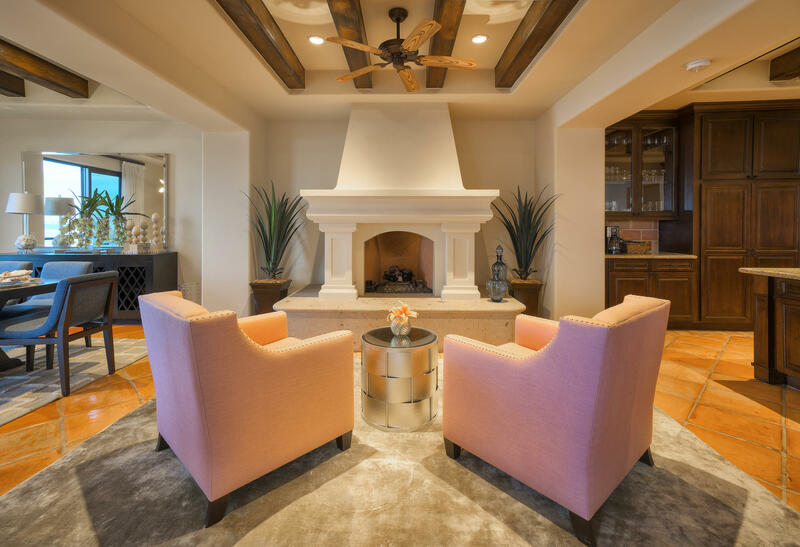 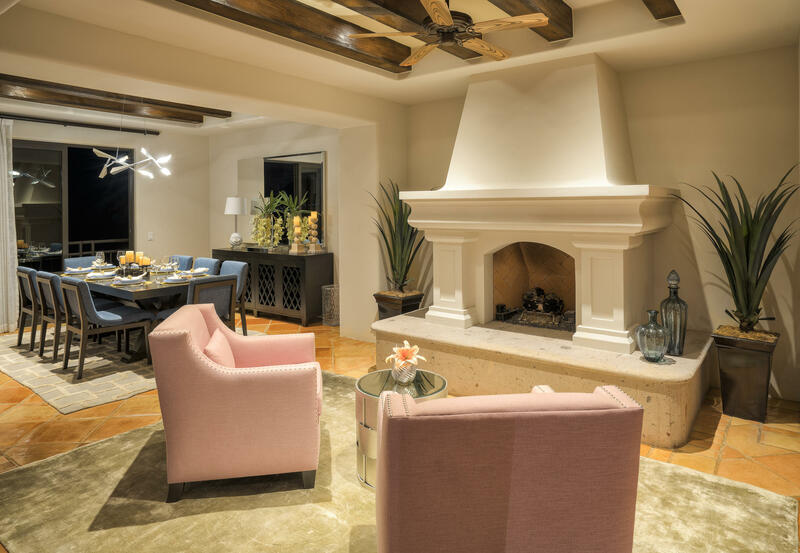 There's ample room for a large family or group of friends to dine or gather in the open great room. 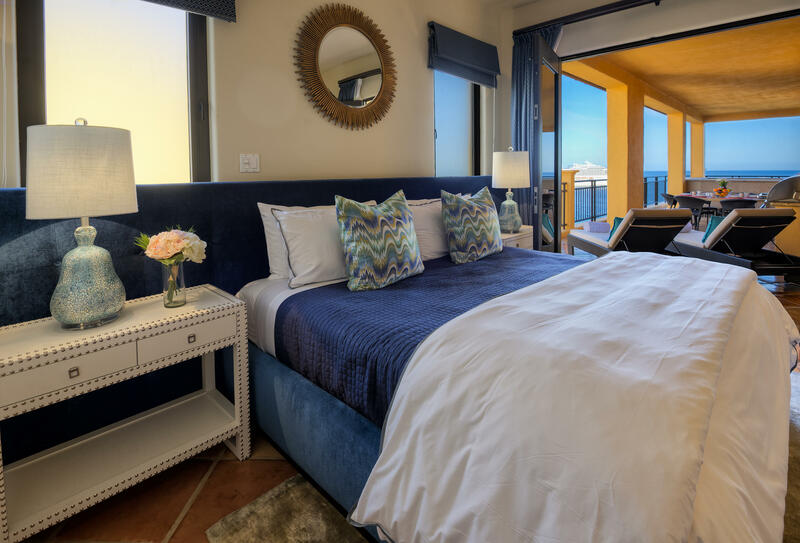 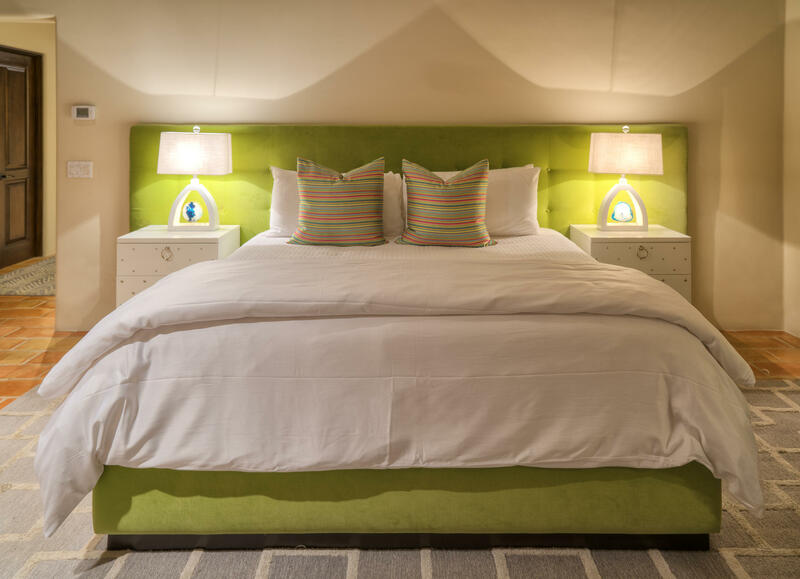 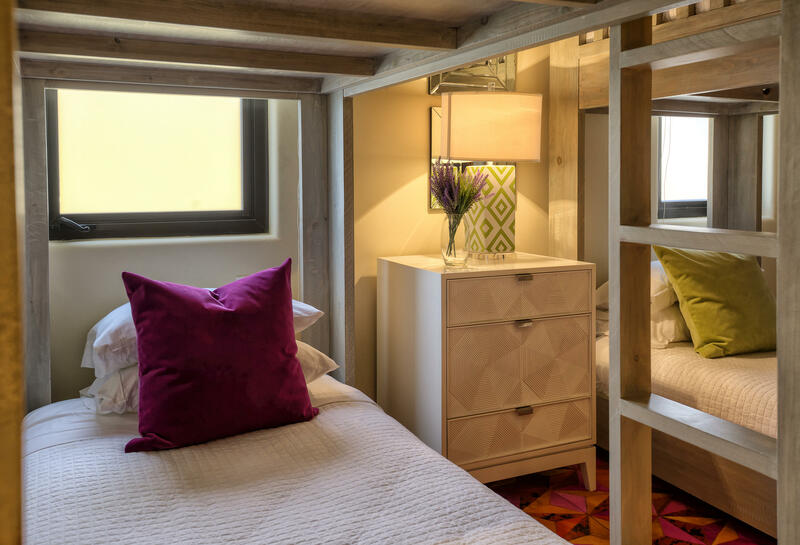 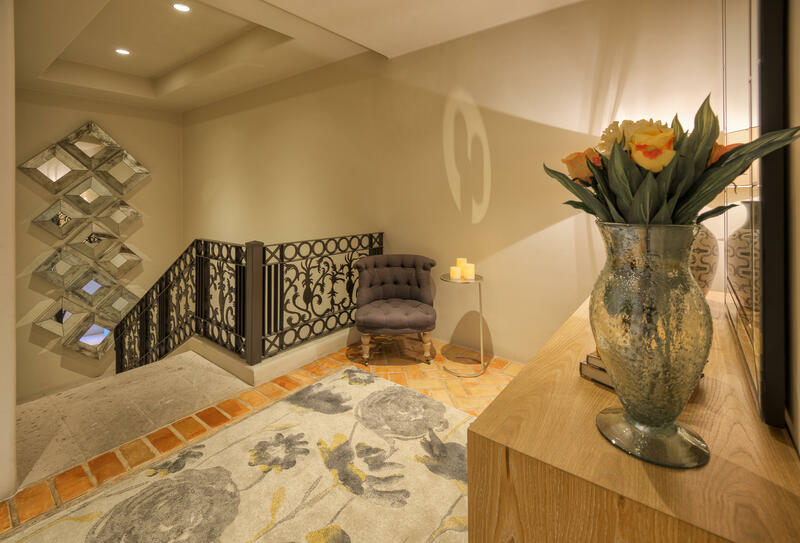 Or relax, recharge and reconnect with in-house spa treatments and massages on the comfortable, roomy terraces. 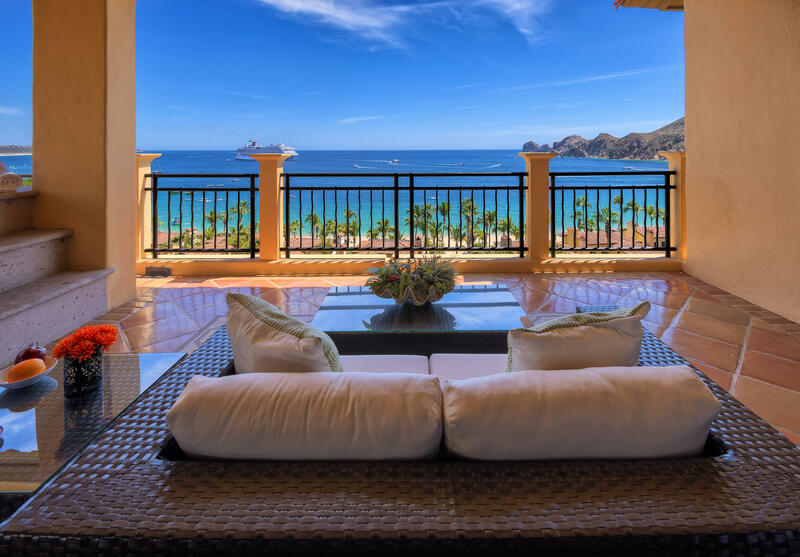 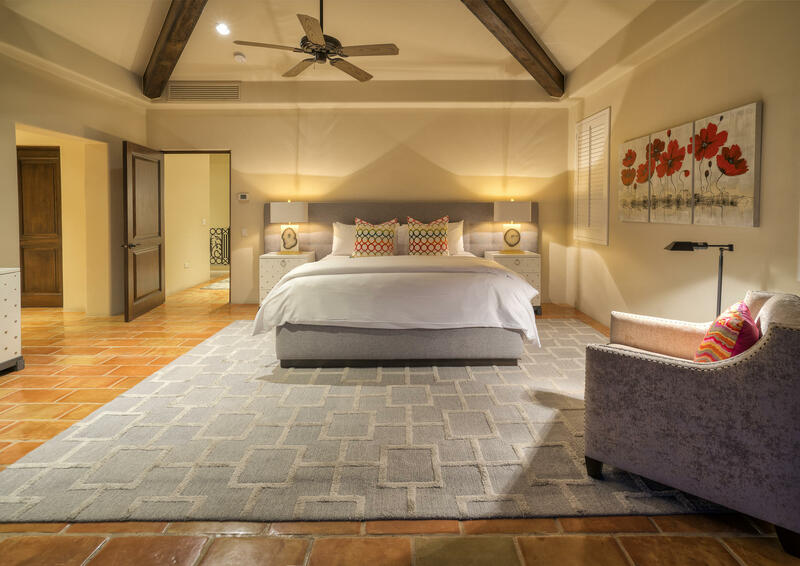 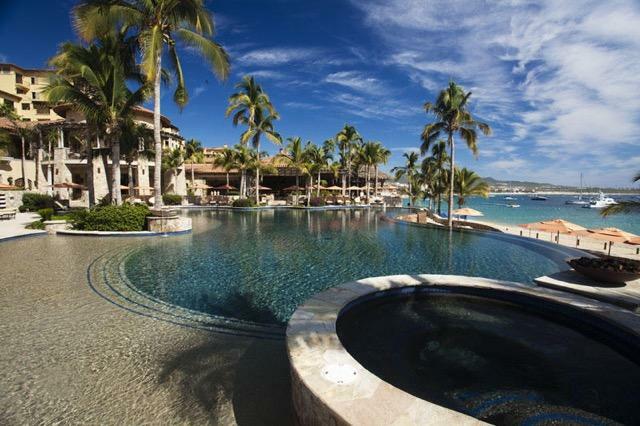 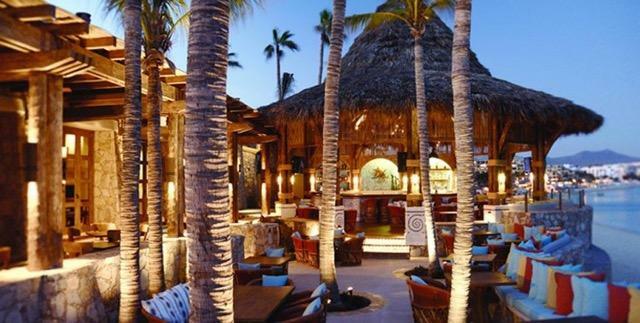 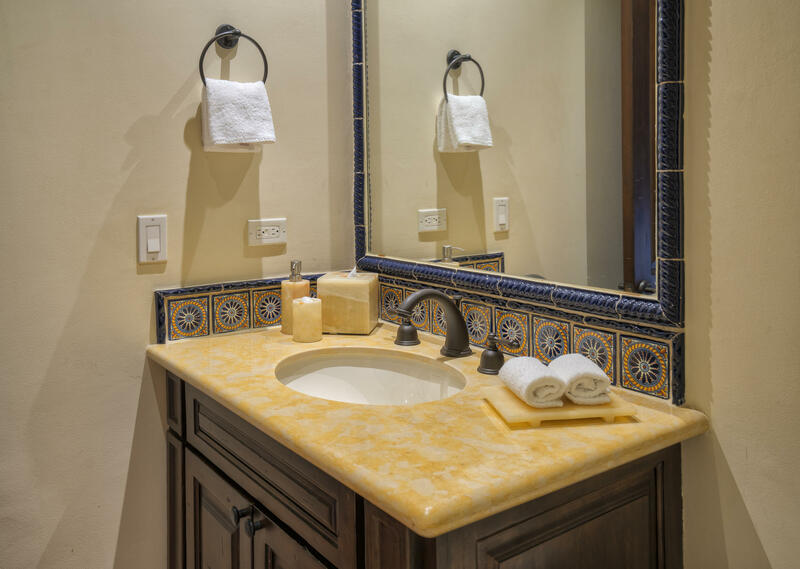 Hacienda Beach Club and Residences is a hideaway in the middle of the bustling town of Cabo San Lucas with a world-class spa, tiered swimming pools and beachside restaurant. 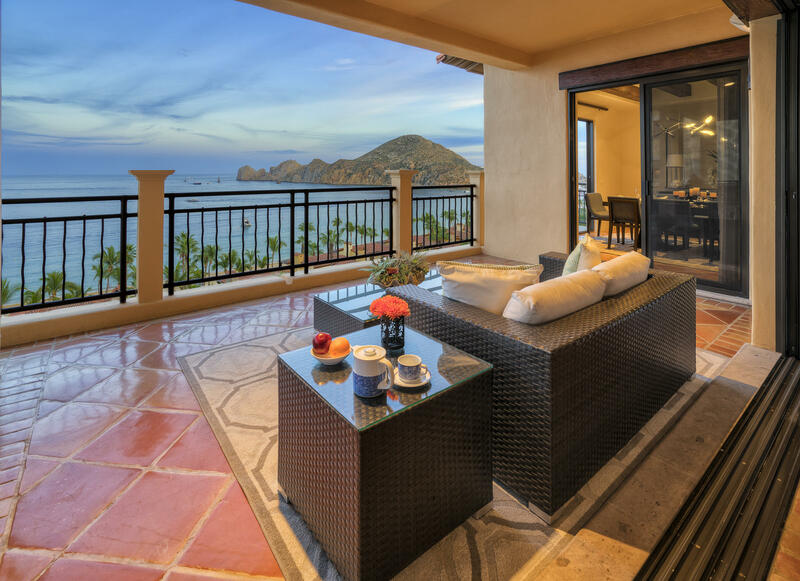 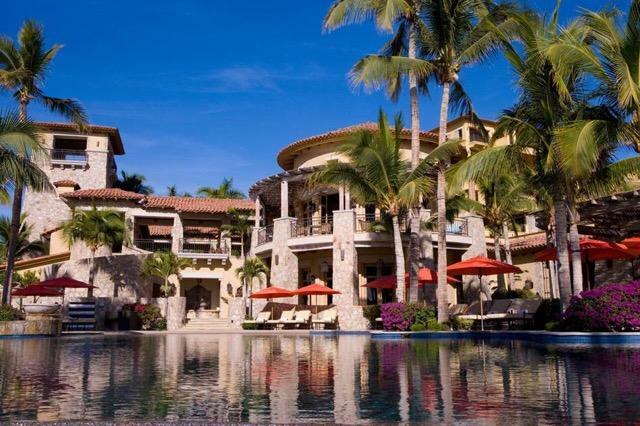 Enjoy luxury resort concierge services, private chefs, daily housekeeping, babysitters, transportation, spa services and more. 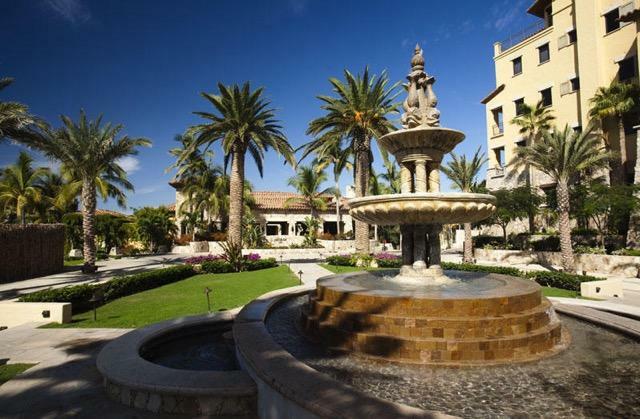 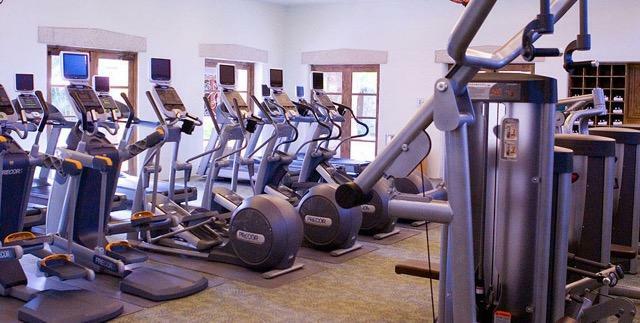 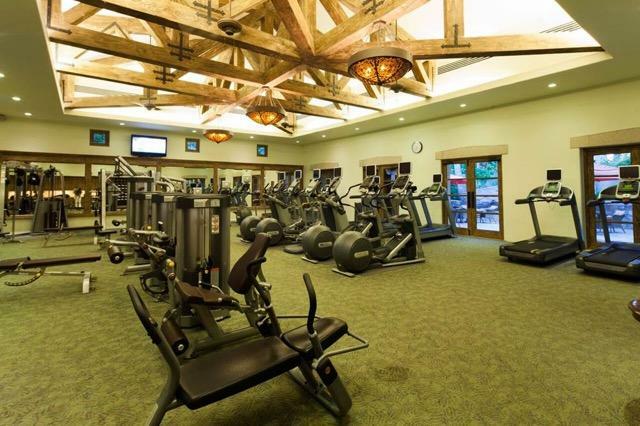 All of this is an easy walk from activities, shopping, nightlife and fine restaurants. The privacy and views of this penthouse, combined with its amazing central location, make this residence a lucrative rental.